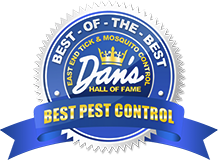 If you are in need of mosquito control for your eastern Long Island home, your answer lies in the tried and true experience of East End Tick and Mosquito Control®. We’ve helped hundreds of Eastern Long Island residents rid their property of mosquitoes and now we can help you, too. Over the years, we’ve found what works best to keep mosquitoes at bay so you can enjoy the outdoors during Long Island summers. Let us help you control the population of mosquitoes found on your property so you can enjoy your yard in peace. Mosquitoes are a particular problem lately due to the various viruses and pathogens they can carry. While it is rare that these cases should find their way to Long Island, it’s never a bad idea to take preemptive measures to deal with the population of mosquitoes on your property. If the West Nile Virus scare in New York in 1999 taught us anything, it’s that we can never be too comfortable with these bloodsucking pests. Mosquitoes are incredibly dangerous to your dogs as they are the only way heartworms, dangerous cardiovascular parasitic roundworms that can reside in your dog’s heart or lungs, can be transmitted. 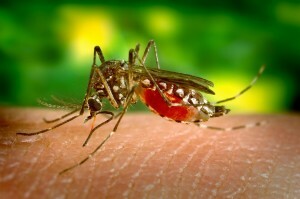 Mosquitoes are just irritating in general, and the itchy bumps caused by their saliva after a bite can be a nuisance to deal with. Mosquitoes have been an issue on Long Island for as long as people have lived here. We’ve developed a technique which is both incredibly effective and leaves your family and the environment unharmed. First, we establish a perimeter around your property. In order to quell the amount of mosquitoes on your property, we first have to make sure we treat the outskirts of your property. We then work towards the middle of your property, making sure we pay extra attention to areas where your family and guests will spend the most time like decks and patios. Finally, if you are having a party or celebration on your property, we can utilize our party spraying services for a concentrated dose of our mosquito control spray to make sure your event goes off without the presence of these annoying pests. Rest assured our mosquito control services are the best way to keep the mosquito population of your property down to a minimum. However, we want to equip you with the knowledge to keep mosquitos at bay in addition to the services we provide. Mosquitos tend to gravitate toward swamps and other marshy areas as their offspring are bred in standing water. While you can’t easily manipulate the environment around your house, you can take actions to remove these areas on your own property. Make sure to wash out birdbaths at least once a week, ensure that drain pipes aren’t holding water and can easily drain out, and make certain that other areas where standing water exists are either washed out frequently or are emptied. It’s not that mosquitoes have a fashion sense; instead darker clothing makes you more of a target due to the temperature difference. Dark colors retain more heat than lighter colors and temperature is one of the main ways mosquitoes locate their next meal. 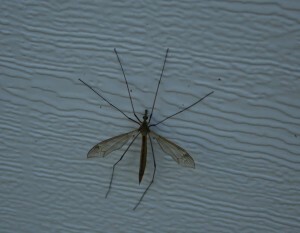 If you’ve ever seen mosquitoes that look much larger than normal, you’ve encountered a male mosquito. While it looks intimidating, male mosquitoes actually aren’t the ones that bite humans. That job is left strictly to the females. Don’t worry, we target both males and females to discourage the breeding of a new generation of mosquitoes. Other than the temperature you put off or movements, mosquitoes primarily find hosts from the CO2 we breathe. CO2 and lactic acid are produced when we breathe and even more so when we engage in physical activity. It is also why bigger people are bitten more often because they produce more of these chemicals at a time than others. Ready to Schedule Mosquito Control for Your East End Long Island Home? 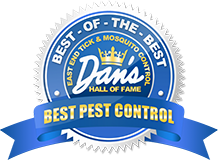 If you would like to schedule East End Tick and Mosquito Control®’s services for your Eastern Long Island home please give us a call at any of our regional numbers or fill out our contact form. We’ll be happy to schedule an appointment to spray your property and help you be able to enjoy your yard without the annoyance of mosquitoes.